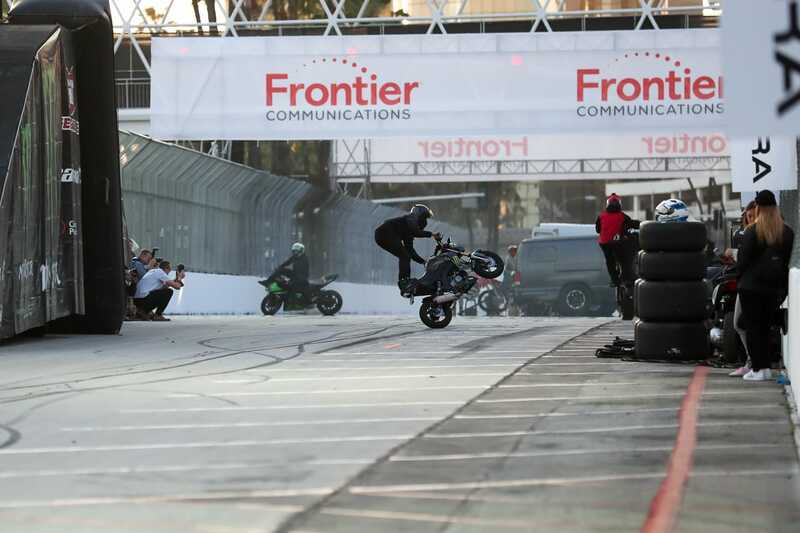 Tony Carbajal's stunt motorcycles competitors during Thunder Thursday at the Pike Outlets in Long Beach on Thursday, April 11, 2019. Photo by Kelly Smiley. About 2,500 people came to Thunder Thursday at the Pike Outlets to jumpstart the Acura Grand Prix of Long Beach race weekend on Thursday evening. 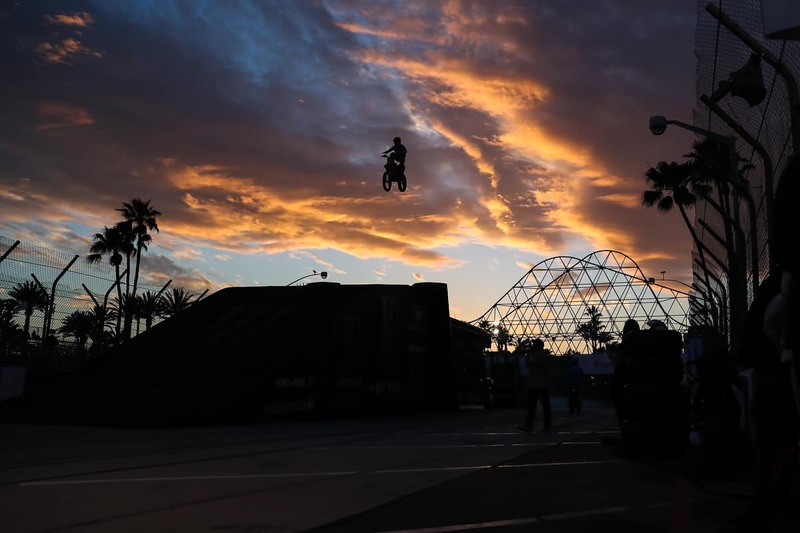 Tony’s Carbajal’s stunt motorcycles, NTT IndyCar Series pit stop competitors and freestyle motocross wowed the crowd with their quick stops and sky-high jumps framed against the sunset. 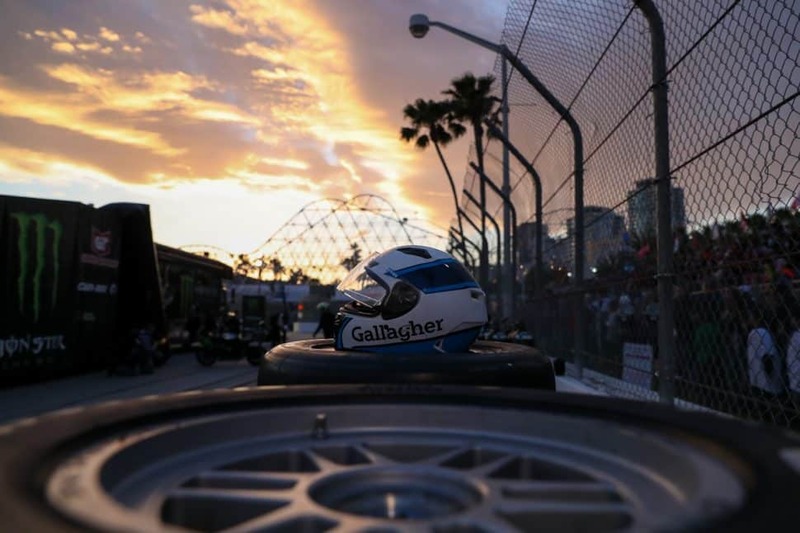 Grand Prix events continue through Sunday. 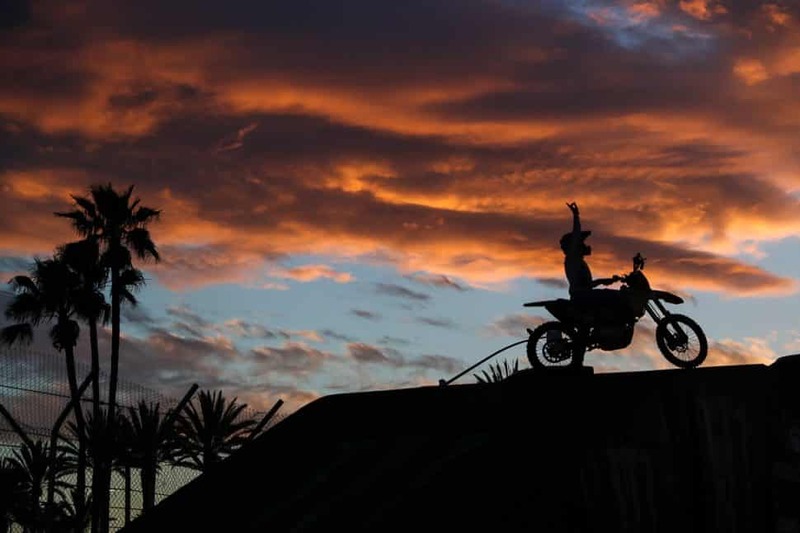 The sun sets during the stunt motorcycles competition at Thunder Thursday. Photo by Kelly Smiley. 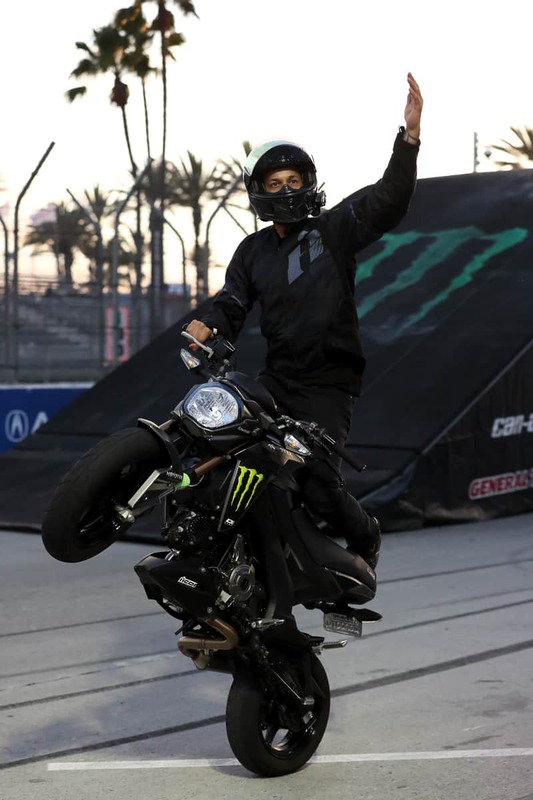 One of the competitors raises his hand. Photo by Kelly Smiley. 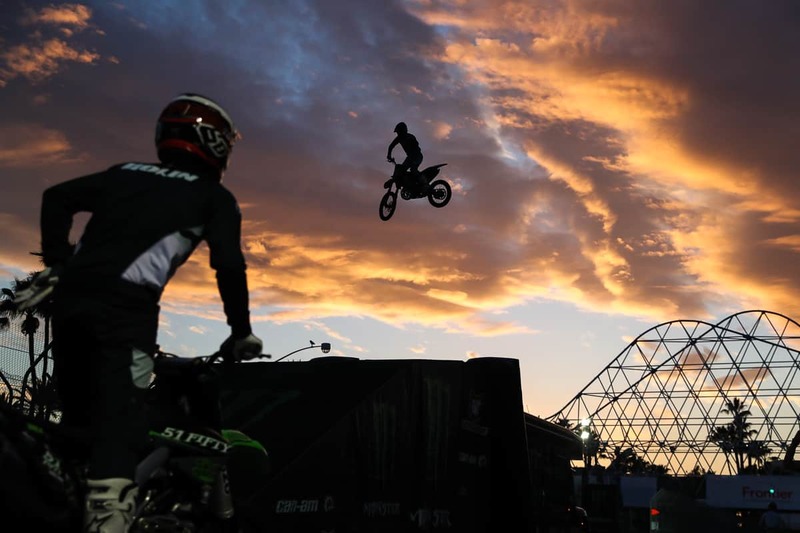 The bikes flew across the sky as the sun set. Photo by Kelly Smiley. Another rider watches as a competitor lands a jump. Photo by Kelly Smiley. 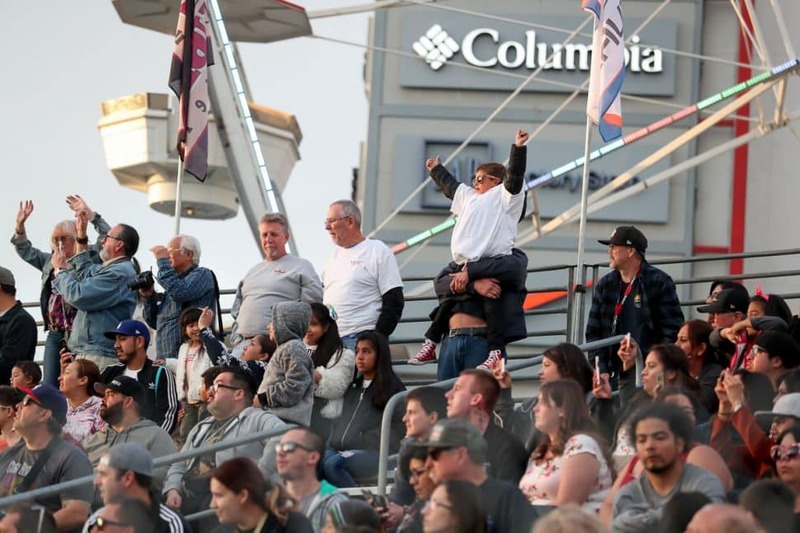 The crowd at Thunder Thursday cheers from the stands set up at the Pike Outlets. Photo by Kelly Smiley. 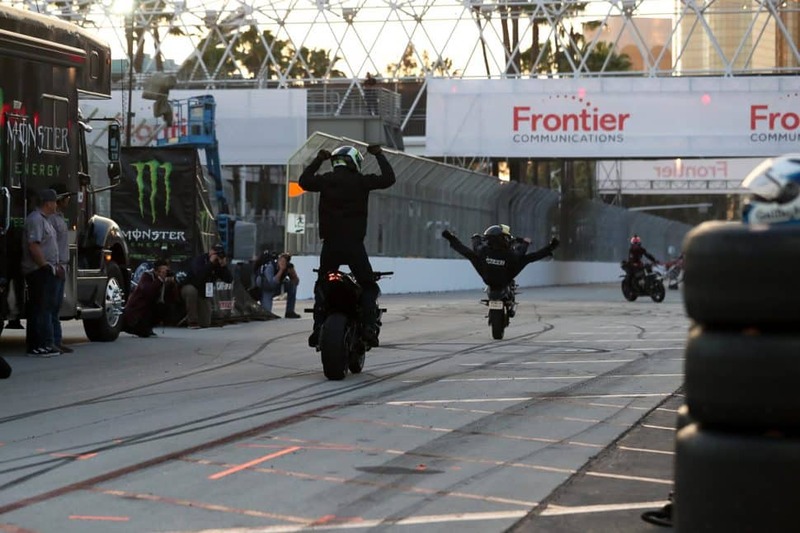 Tony Carbajal’s stunt motorcycles competitors during Thunder Thursday. Photo by Kelly Smiley. Along with the jumps, technical driving was also on display. Photo by Kelly Smiley. 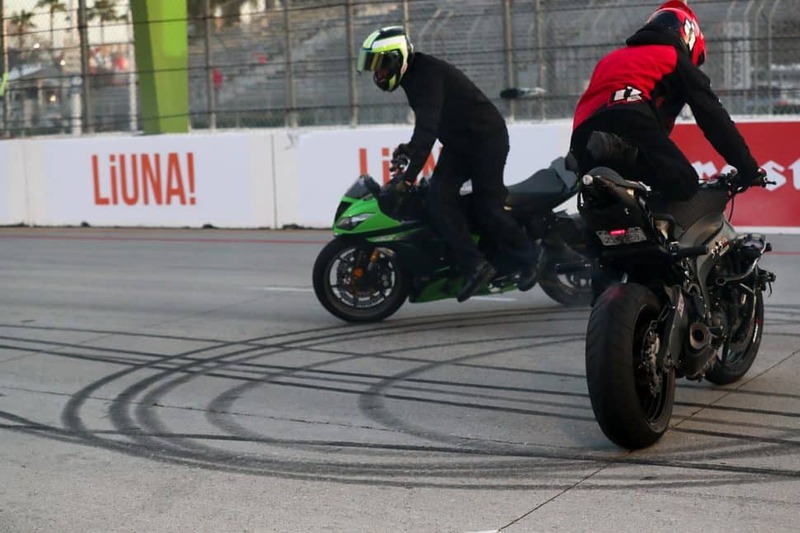 Tony Carbajal’s stunt motorcycle riders show off their skill. Photo by Kelly Smiley. A rider hypes the crowd as he rolls by. Photo by Kelly Smiley. 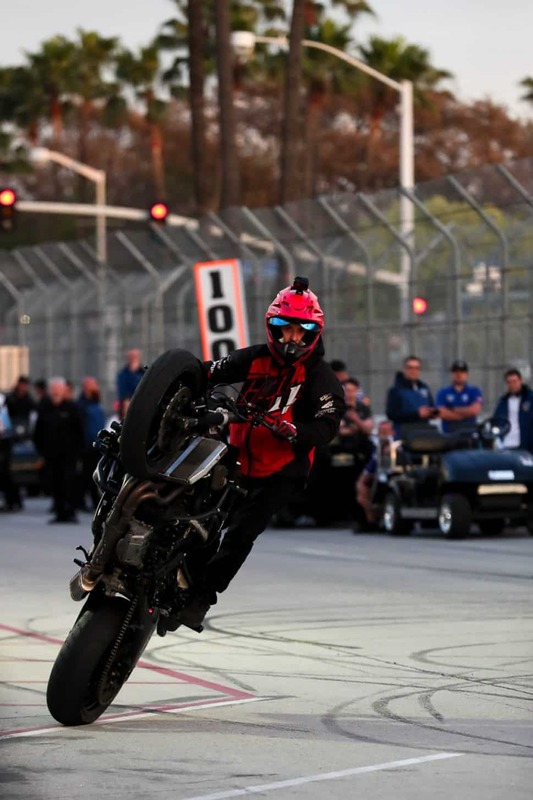 A Tony Carbajal’s stunt motorcycles competitor pulls a wheelie. Photo by Kelly Smiley. 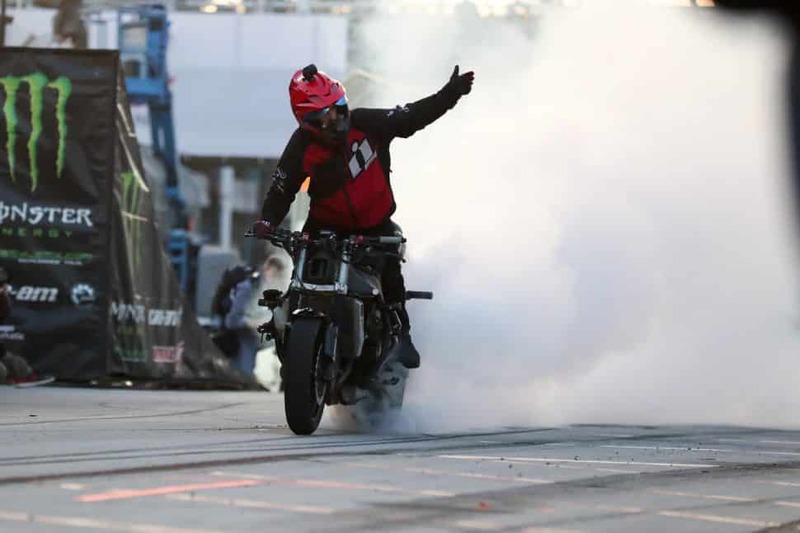 Some riders made their own clouds with burnouts. Photo by Kelly Smiley. 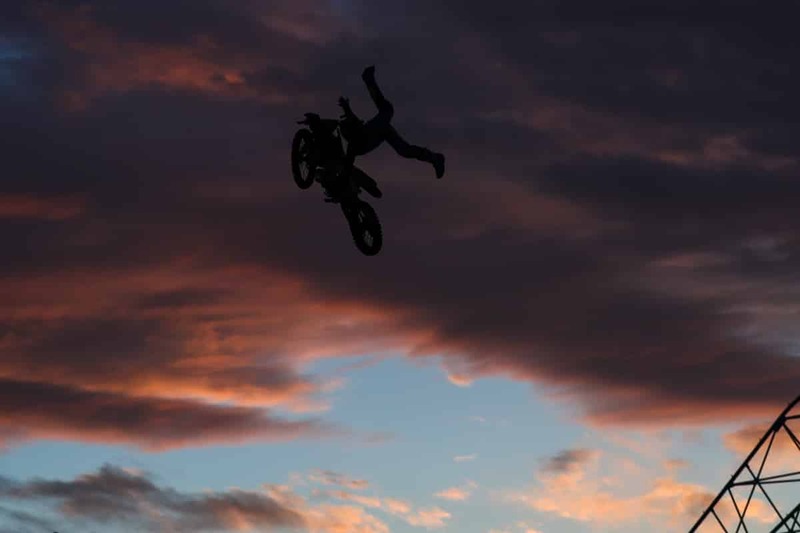 A rider gets lost in the clouds during a jump at Thunder Thursday. Photo by Kelly Smiley. 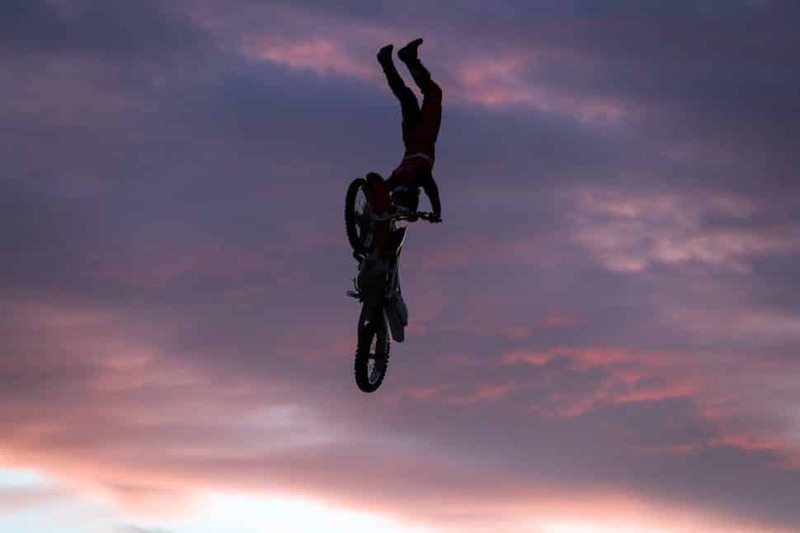 A Tony Carbajal’s stunt motorcycles competitor during Thunder Thursday at the Pike Outlets. Photo by Kelly Smiley. 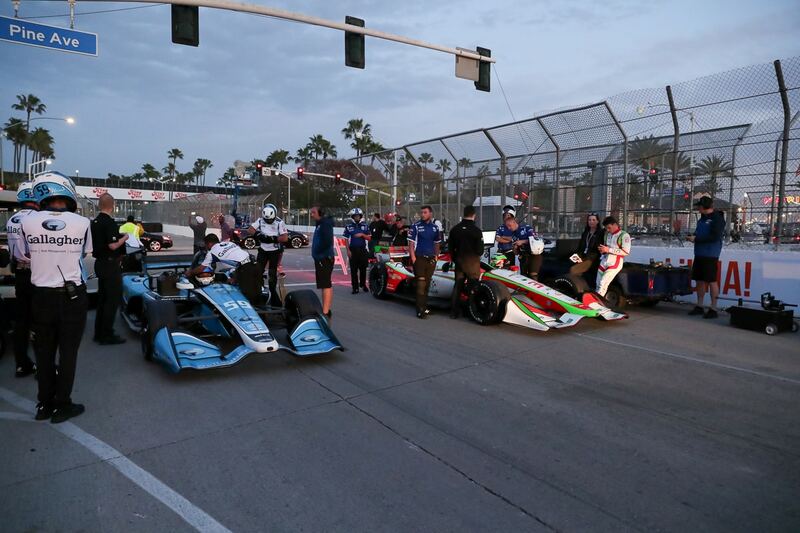 NTT IndyCar Series pit stop competitors during Thunder Thursday at the Pike Outlets. Photo by Kelly Smiley. 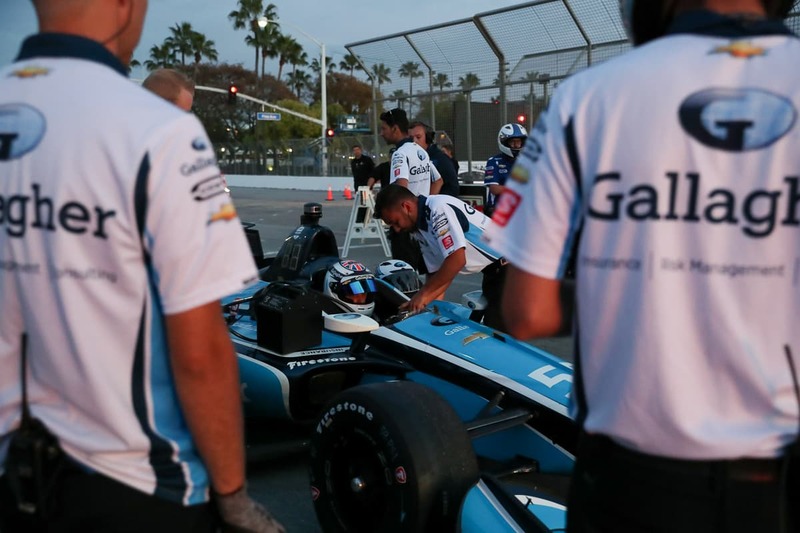 TNTT IndyCar Series pit stop competitor Max Chilton getting ready. Photo by Kelly Smiley. 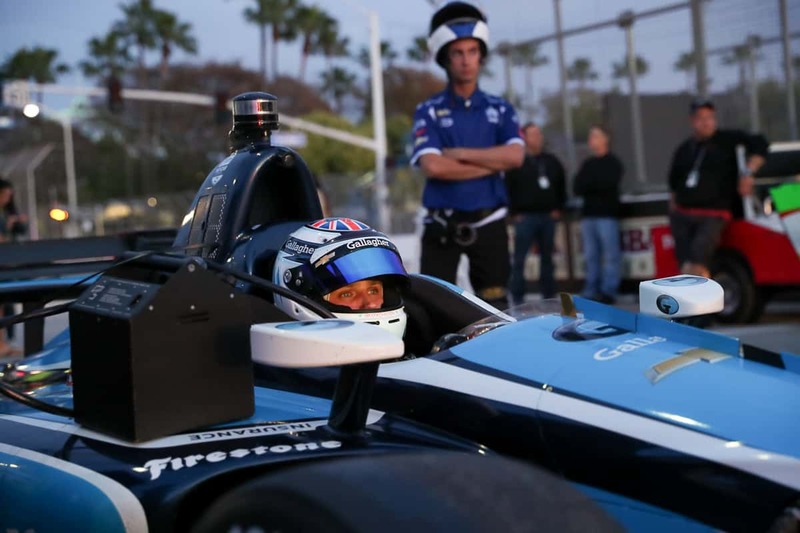 TNTT IndyCar Series pit stop competitor Max Chilton focused on the task at hand. Photo by Kelly Smiley. 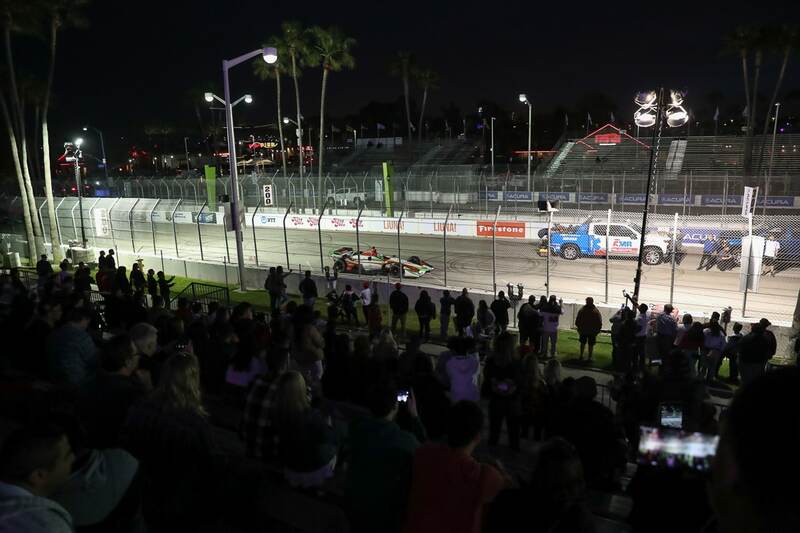 The crowd looks on at the TNTT IndyCar Series pit stop competition. Photo by Kelly Smiley. 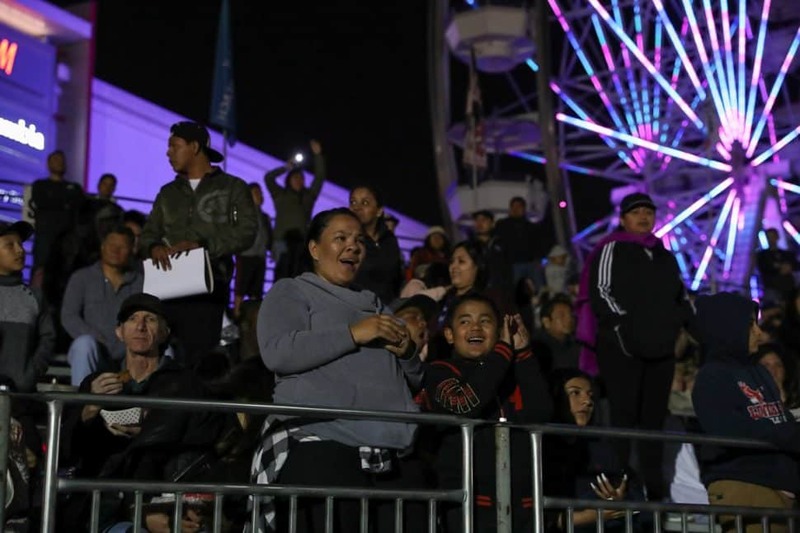 Thunder Thursday-goers cheer. Photo by Kelly Smiley. 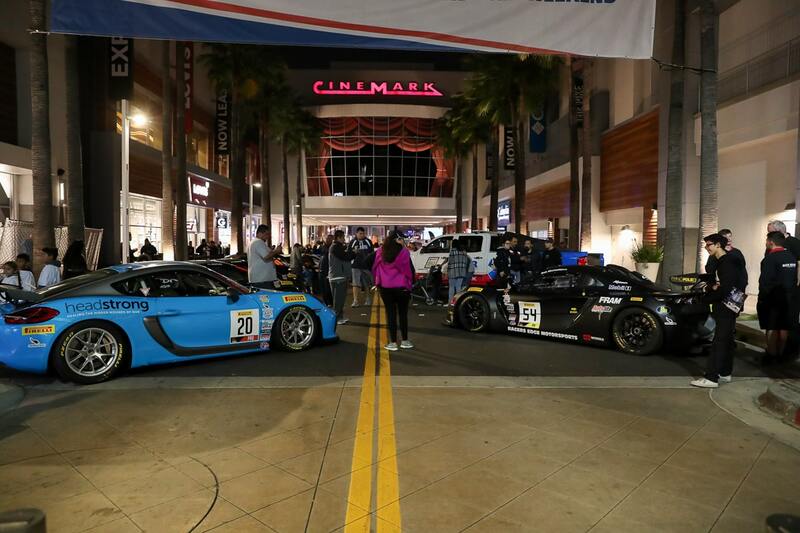 Race cars on display. Photo by Kelly Smiley. 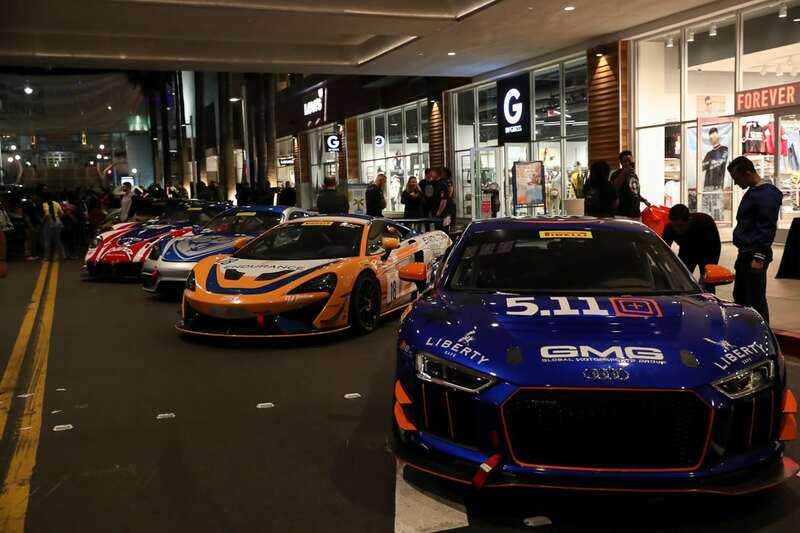 Attendees browse through the car display during Thunder Thursday at the Pike Outlets. Photo by Kelly Smiley.